Explore Old Havana | Taste authentic Cuban cuisine | Visit artists and collective studios | Enjoy dinner parties at artists’ Home Studios, houses, and workshops | Tour the Vedado neighborhood | Afro-Caribbean culture and religion in Regla and Centro Habana tour | Tour the National Museum of Fine Arts | Attend a lecture by Hamlet Fernández about emerging Cuban Art | Led by OnCuba Travel guide specialized in Cuban Art & Art History. Five nights of accommodations in private homes or hotels. After clearing immigration and customs at the Jose Marti International Airport, you will take a short drive to your hotel or private home accommodations for check-in. During this first evening you will enjoy a Welcome Dinner at La Guarida Restaurant, a traditional private restaurant where food and Cuban culture come together in harmony. In the morning, our program will start with a tour of the highly recognized National Museum of Fine Arts. We will then pause for lunch at the local Tatagua Restaurant. Next, we will enjoy a walking tour around the city of Old Havana and highlights. Then, we will visit galleries at La Mina to see the works by artists Roberto Fabelo, Ernesto Rancaño, Zaida del Río, Angel Ramírez, Pedro Pablo Oliva, and Carlos Guzmán. After this artists’ review, we experience a behind the scenes tour of René Portocarrero’s Silk-Screen Workshop. Then, we will step into the Cuban Center for Visual Arts Development to experience the emerging Cuban Art scene. Dinner tonight will be at El Cocinero Restaurant, closing the evening with a night at the Fábrica de Arte Cubano, a popular art and club space in Havana. After a nourishing breakfast, we will have a morning start with a visit to Cuban artists’ studios to see works by artists Cirenaica Moreira, José Villa, and Nelson Dominguez. We will then break for lunch to experience traditional Cuban Cuisine at Café Ajiaco Restaurant. We will then continue our journey with a visit to Cuban artists’ studios and works by Lidzie Alvisa, Donis Llago, René Francisco, Aimee García, and Carlos Montes de Oca. Next, we will visit the Kcho Studio Romerillo, a cultural core nonprofit whose purpose is the experimentation, development, and dissemination of the arts. Then, we will visit artist Roberto Diago’s Studio, closing the evening with a dinner party at the Home Studio, house and workshop of artist Kelvin López. Today we will start our journey with a tour of the upscale and historical Vedado neighborhood. Next, we will delve into Afro-Caribbean culture and religion in the Regla and Centro Habana tour. Our journey will continue with visits to Cuban artist’s studios to observe works by Mabel Poblet, Alfredo Sarabia, Jorge Rodríguez, and R10. We will then pause for lunch at the Atelier Restaurant for light Cuban fare. Then, we will continue our journey of Cuban artists by visiting the studios of artists Humberto Díaz, Ibrahim Miranda, Jorge Otero, and Luis E. Camejo. We will round up our artists’ review for the day with a visit to Esterio Segura’s workshop and studio. The evening will then close with dinner at Mediterráneo Habana restaurant, home to locally sourced “farm to table” cuisine. After enjoying a warm breakfast, we will start this day with a lecture by Hamlet Fernández about Cuban emerging art at the OnCuba local offices in Havana. Next, we will continue our journey by visiting the studios of artists Kamilo Morales, Gabriela Reyna López, and Pablo Rosendo. Then, we will take a break for lunch at the eclectic Rio Mar Restaurant in the city of Habana. After lunch, we will continue our tour with visits to collective studios Stainless, Estudio 331, and 7ma y 60, where you can find works by the most recent National Visual Arts Awardee, José M. Fors, as well as works by up-and-coming artists. As we near the end of our day, we will visit the house of Cuban visual artist Michel Mirabal, where he will welcome us in his studio. We will end this day with a farewell Cuban fusion dinner at San Cristóbal Restaurant. After enjoying your last breakfast on the island, you will say goodbye to Cuba as you board your flight back home. 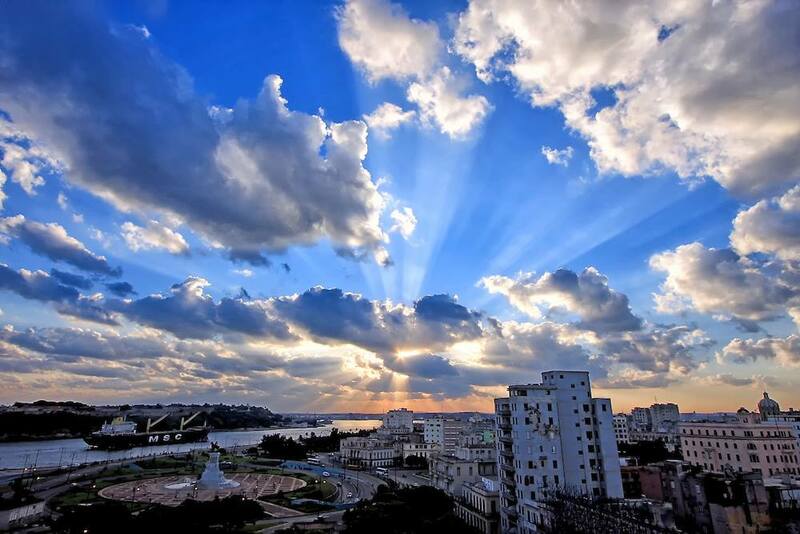 Have you visited Havana before? Have you had the opportunity to get to know the vast Cuban art scene? If you are an art lover to a more experienced gallery owner, curator, artist or collector, now is the best time to delve into the Cuban art scene. Since the beginning of the normalization of diplomatic relations between Cuba and the United States in 2016, more than one million Americans have traveled to the island interested in a direct connection to Cuban culture, with one of the focal points being Cuban visual arts. OnCuba Travel and Art OnCuba have curated a detailed itinerary, modifiable according to your interests and availability, combining cultural tours of interest with specialists, researchers, and top-notch architects, and visits to institutions of interest, galleries, and artists’ studios. It also includes special presentations and the opportunity to combine artistic experiences with exposure to the flavorful Cuban Cuisine. Our team understands and knows Cuba because it is our home. We don’t just arrange travel; we create lifelong experiences for our guests.